Shakin & Bakin Foodie Blog: Product Review: Mimuno Insulated Beverage Glasses & Mugs! Product Review: Mimuno Insulated Beverage Glasses & Mugs! Today I would like to introduce you to the company called Mimuno who sells smart and modern glassware that is also beautiful to look at. 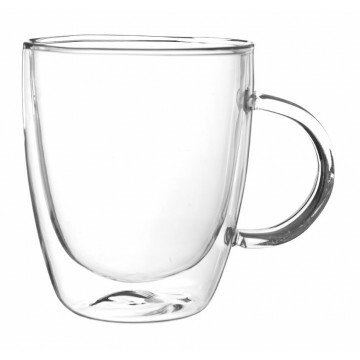 The Mimuno line of glassware is all double-walled which helps your beverages to stay at the proper temperatures. In addition, these insulated glasses prevent condensation from wetting your hands or table surfaces. We all know that condensation can ruin a nice table or piece of furniture so it is important to have the proper drinking glasses in your home to prevent that. When you visit the Mimuno online store you will find insulated tumblers, insulated mugs, insulated beer glasses and you can purchase your glasses in sets if you prefer. Their web site store is really easy to navigate and you can find what you are looking for quickly by just clicking on the SHOP link at the top of the page. My Review: Mimuno sent me two glasses to check out for my product review. I received the Insulated Tumbler that holds 12.5 ounces of liquid. It measures 2.5" by 3.5" by 5.5" tall. This is the perfect tumbler for both hot and cold drinks. I love the modern shape to this drinking glass and because it tapers it fit comfortably in your hand. My hubby loves his soft drink on ice and has a habit of letting his glass sit on my end table and then it sweats and makes a mess. So, this new glass has become his favorite new glass in the house because it doesn't sweat and his soft drink stays colder for a longer period of time. You can purchase this Insulated Tumbler directly from their web site store for $14.00 each. We also received the Insulated Mug that holds 8 ounces of liquid. It measures 2" by 3.5" by 4" tall. 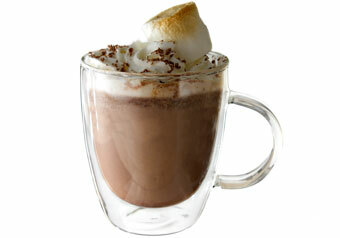 This is the perfect mug for your hot drinks like coffee, hot cocoa, hot cider and/or hot tea. This mug will also be a nice addition to your home if you like iced beverages. We also love the modern shape and beauty of this mug! The way that the handle is made makes it a comfortable fit in the hand...even for tiny hands like mine or big hands like my husbands. He has been using this mug with his morning coffee and loves it because it doesn't burn his hands. In other words, even though this is glass, you can pick it up and not burn your hands! You can purchase this Insulated Mug directly from their web site for $12.00 each. Overall Opinion: We love that these pieces are double-walled as it prevents sweating and it keeps your beverages hot or cold for a longer period of time as compared to a non-double-walled glass. If you love sleek and modern glassware, you will love the design and style of these two pieces. When you hold them in your hand, they are comfortable and you can tell right away that they are "quality" pieces just by the weight and feel of them. We highly recommend that you check out Mimuno for all of your glassware needs whether it be for yourself or for a gift. I would personally like to thank Mimuno for sending me the two products to try out for my product review! Both of these beautiful glasses have become my husband's favorite glasses in the house! Disclaimer: Shelly Hill has personally reviewed the product listed above. Shelly has not received any monetary compensation for her review. Shelly did receive a free product to try out so she could evaluate and use it for her review. Her thoughts & opinions in this review are unbiased & honest and your opinions may differ. The Shakin N Bakin Blog is not responsible for delivery of any giveaway items won from this blog. We are not responsible for injury or mis-use of any products won from the Shakin N Bakin Blog. Please read our Terms of Service & Disclaimer Policy before entering our giveaways. Thanks!